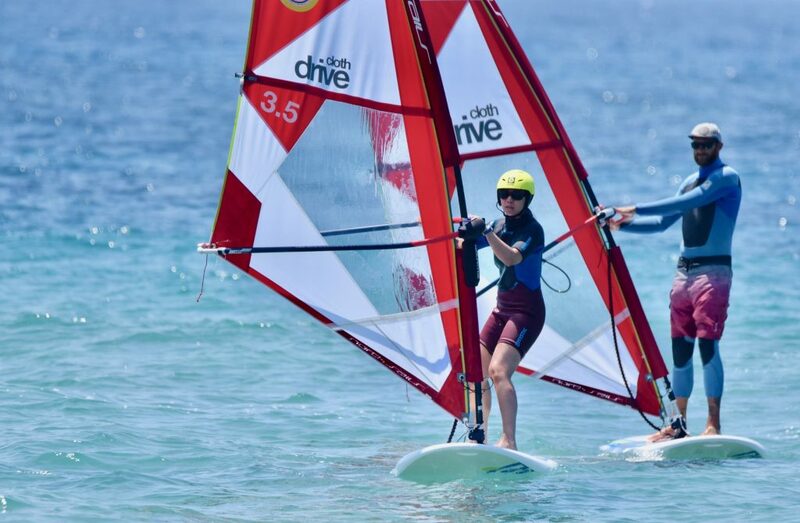 With us you will learn to windsurf step-by-step. 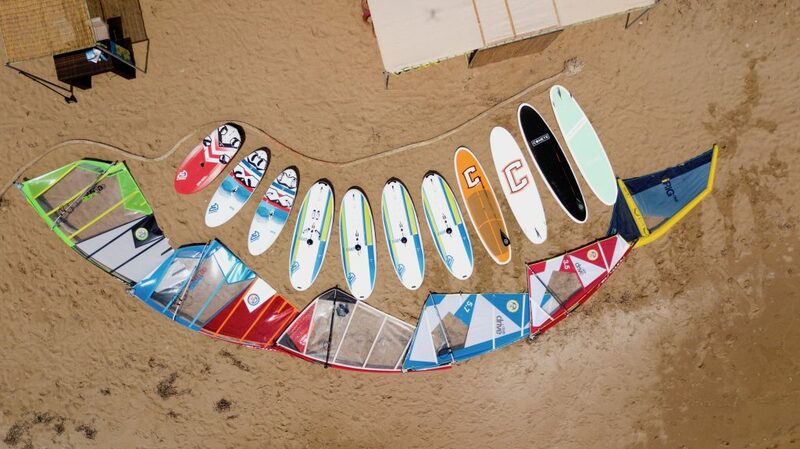 Both practice and theory – we’ll teach you everything you need to know about windsurfing. Our spot is not only ideal for beginners, but also for the advanced surfers. For you, we offer private lessons to train and improve individual maneuvers. 1 hour with instructor exercises on beach with simulator, wind theory and sailing, correct positioning and turning the board 180˚. The practical teaching units are supplemented with a little theory. This includes topics such as safety, nature conservation, rules of the road, wind and weather. Praxis: control, tacks and jibes. We go individually to your abilities; Our teachers will check the status in advance and ask about your personal goals in order to really get the most our of your lesson. You want to go windsurfing, but you don’t have your equipment with you? Our prices are in € and include VAT.